The Financial District of Downtown Los Angeles, the iconic part with all the tall beautiful skyscrapers lighting up the horizon, is home to plenty of wonderful bars and pubs hidden among the street level retail of the towering buildings. At the corner of Sixth and Hope, Martin and I went out to Sixth Street Tavern one night after he got out of the office. Our conclusion? 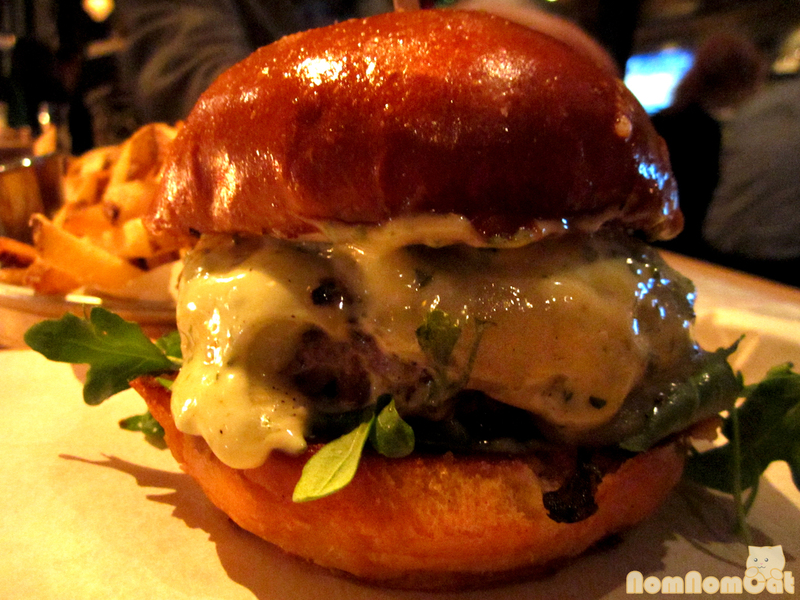 Sixth Street Tavern is an awesome example of LA’s great trend — the gastropub. Weck jars, craft beers, and a menu that includes elevated pub food? Count us in! 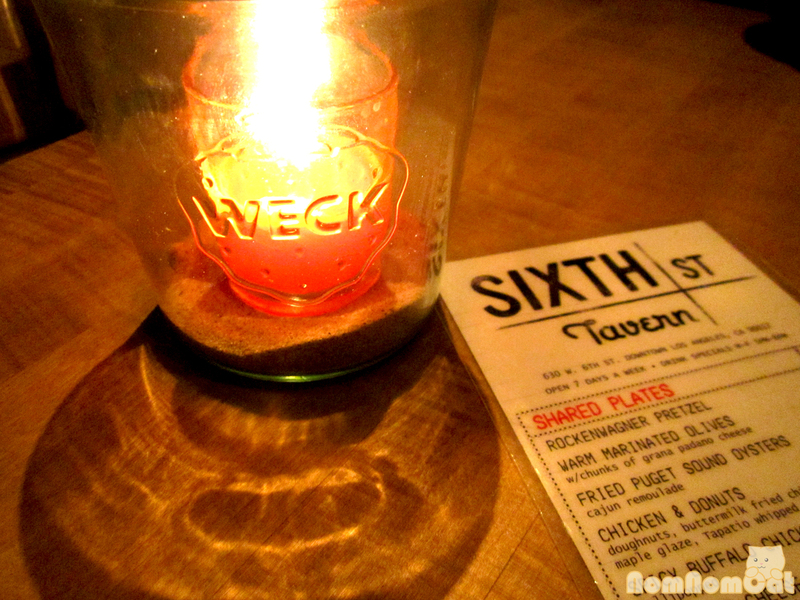 The decor feels trendy yet understated and every table is lit with a candle resting in a Weck jar. We were feeling pretty ravenous so we ordered a handful of dishes to share. I would definitely recommend going with a small group in order to sample more of the menu! 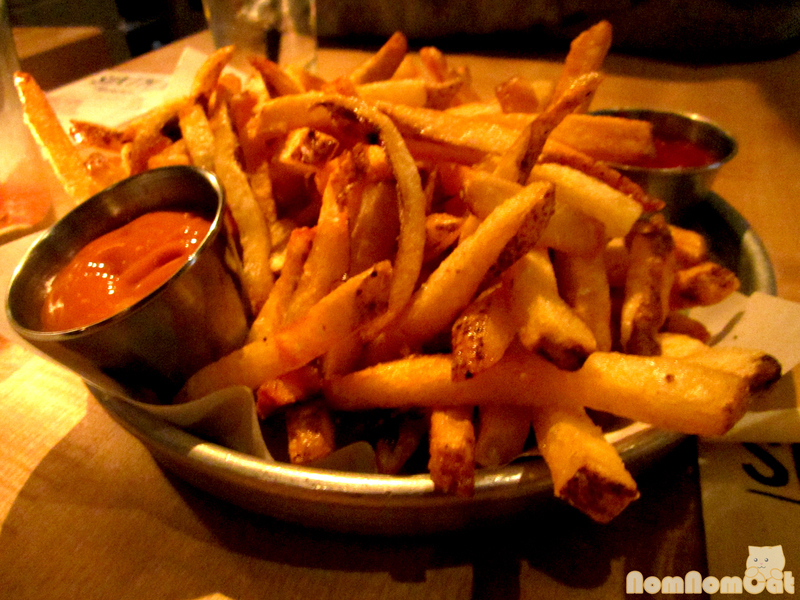 First, we started with the duck fat fries. Three words that were always meant to be spoken in harmonious succession. Duck. Fat. Fries. 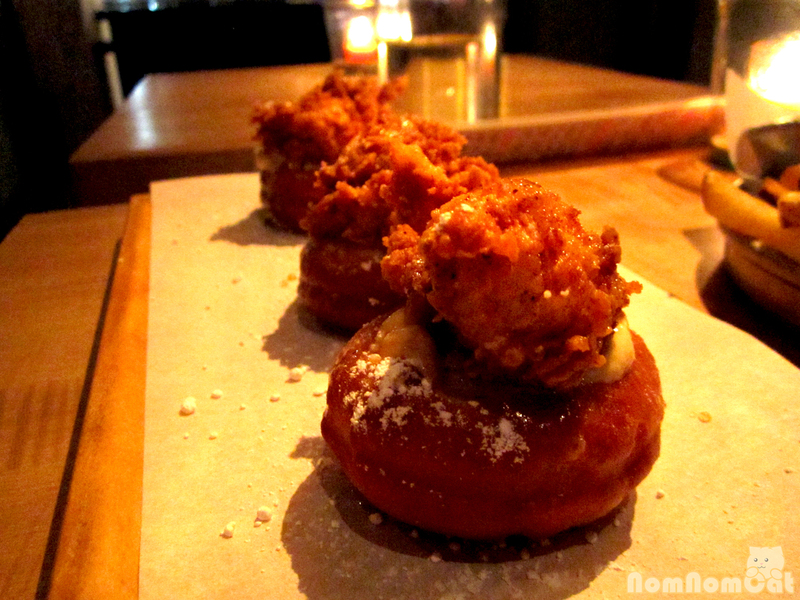 Super crispy and full of savory decadence, these were the perfect thing to start noshing on. I like barbecue flavors so the hickory was my sauce of choice, but the fries were delicious even with ordinary ketchup. We wanted to split something substantial, so we agreed to get a burger. Martin let me pick and when I saw the Bistro Burger, with a description is suspiciously reminiscent of one of my favorites – The Office burger, I had to get it. We ordered it rare and the burger arrived perfectly cooked to temperature. The cheese was melty but not too strong, and the worcestershire onion compote was mouthwatering. It was especially impressive served on the glistening bun.